Last weekend we were invited to Pollywogs at Robinson Walk. It was the 2nd time that the kids were at the indoor playground and they were extremely excited as they had a blast the last time they were there. There was a really cool rock wall within the play structure but the kids all gave it a miss as it was not as high and interesting to them as compared to the rock climbing schools they had been to. The boys headed straight for the air gun and had lots of fun shooting at each other. Tiger girl went to her favourite place in the playground- the slide. R spend time going through the playscape with his princess. I on the other hand was busy snapping pictures of the kids while they were at play. However after finding it quite hard to snap pictures as they were running all over the place I decided to chill out in their waiting area instead. It’s cool to sit there for a drink and some fries while the kids and their dad have fun together. 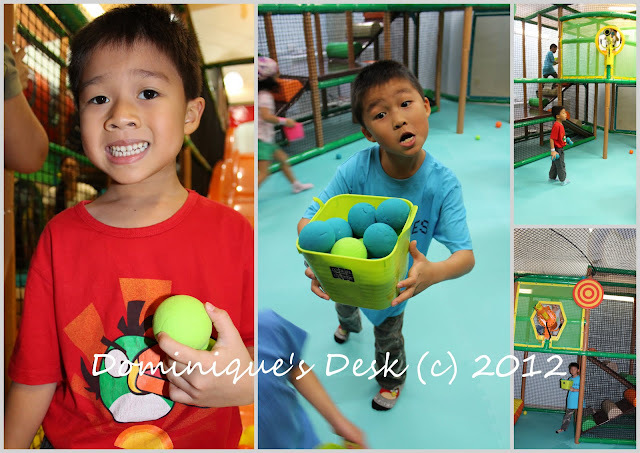 Have you brought your kids to any indoor playground lately? 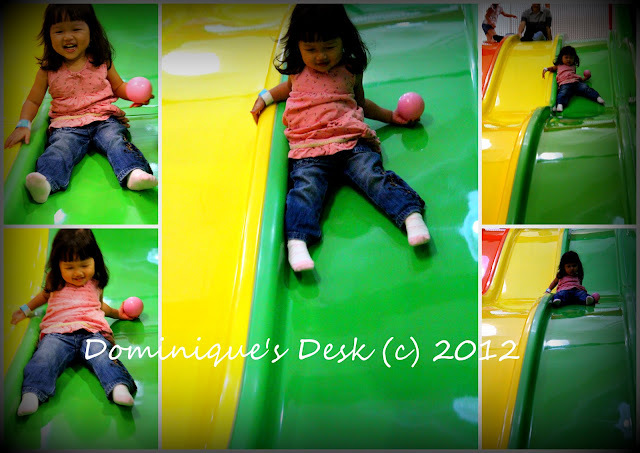 your girl looked sooo adorable in that slide… i wish zamboanga would have play areas like this soon! How fun! Have a fun WW. She’s adorable! I love her smile. Beautiful pictures of fun time! Thanks for hosting and Happy WW! Your daughter is so cute. Nice fun activity with the whole family. We used to have something like this by our old home and the kids LOVED it. Since we’ve moved, we haven’t found something similar yet, but we’re still looking. I don’t dare climb in those tubes though, makes me claustrophobic! But the kids always have a blast. That looks like fun! Our kids would love it! I love indoor play parks for kids. We have been twice, both in different states than our own. There’s nothing like that close by, but I wish there was. 🙂 Great pics!! Looks like a fun family day! Wow..What a great place for the kids to play…Looks like you and your family had a great time!! Your kids are surely having fun in the playground. My daughter loves it too. I’m forced to crawl around on all fours all the time because she wants me to tag along unless she finds a friend then I’m dropped like a hot potato. my kids love indoor playgrounds! it has a lot of advantages too! 🙂 Where is Robinson’s Walk? 🙂 THanks. It’s at Robinson Quay near Chinatown in Singapore. Oh what fun! Our son loves to go to indoor play places too! Aww! looked like brilliant fun heheh! Fun! I took my niece to a place like this once. We had a blast! The last time I went to an indoor park, it was for a relative’s birthday party. Bounce U. Indoor parks kind of skeeve me out. I’m paranoid that everyone will come back with fungal infections. That doesn’t stop me or the, And we haven’t had one yet. HAven’t seen you around lately. THe kids love indoor playgrounds and would stay there all day if allowed. Me, I constantly worry about germs. My kids are all too big, but in 2 weeks my granddaughter is coming for a visit and we have lots of fun planned! I enjoyed the photos of your cute kids. I think I’d go for the air guns too! Looks like a super place for kids to play and moms to relax!